Here you’ll find all of the latest and specially priced Mercedes-Benz internet lease offers and specials in New Jersey and Philadelphia! Stk# M3029, 4 dr, 4 cyl, auto, p/s/b, a/c, MSRP: $37,605. $2599 down pymt + $369 1st mo. + $795 bank fee + $0 sec dep = $3,763 due at signing + tax, tags & MV fees. Ttl pymt/Residual/Ttl Cost: $13,284/$22,563/$17,047. Stk# M2985, 4 dr, 4 cyl, auto, p/s/b, a/c, MSRP: $40,645. $2653 down pymt + $339 1st mo. + $795 bank fee + $0 sec dep = $3,787 due at signing + tax, tags & MV fees. Ttl pymt/Residual/Ttl Cost: $12,204/$23,574.10/$15,991. Stk# M2853, 4 dr, 4 cyl, auto, p/s/b, a/c, MSRP: $47,375. $3,099 down pymt + $439 1st mo. + $795 bank fee + $0 sec dep = $4,333 due at signing + tax, tags & MV fees. Ttl pymt/Residual/Ttl Cost: $15,804/$27,951.25/$20,137. Competitive prices and Mercedes-Benz lease specials on all popular Mercedes-Benz models. 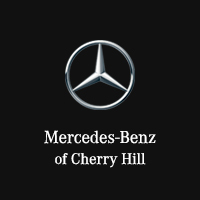 Only at Mercedes-Benz of Cherry Hill! Whether you simply want a new car every few years or you want to keep your monthly payments low, consider leasing. Mercedes-Benz offers a wide array of lease offers and specials for new car payments. Leasing also allows you to drive a new car every few years, so you need not worry about upkeep as a new car ages and begins to break down from wear and tear. Buying a Mercedes-Benz whether new or used is invariably a big decision and one that you should consider carefully. Its really important that you do your research so you drive away in the Mercedes-Benz of your dreams. There are numerous purchase options if you are buying a new, used or certified pre-owned Mercedes-Benz and we have the most competitive pricing with our Mercedes-Benz lease specials and Mercedes-Benz lease offers. Depending on whether you want a sporty C-Class sedan or rugged GLE SUV we have all of the popular models competitively priced! 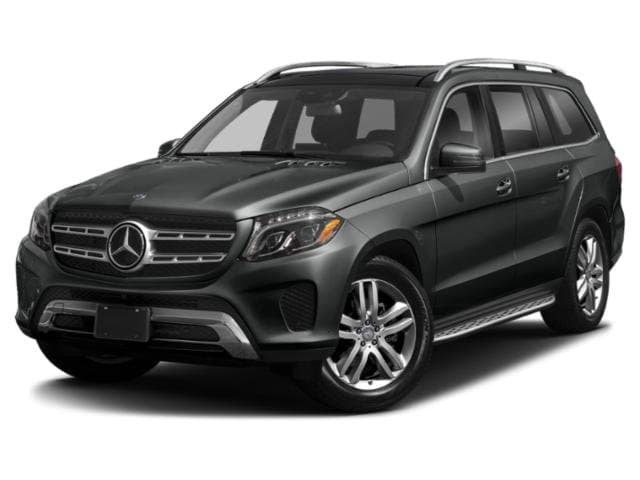 You can still research and compare the cost and price for different manufacturers to help you decide but you wont find Mercedes-Benz lease specials lower than what we offer – bar none! One of the primary things you need to do is figure out how much you can afford and find vehicles that fall within that limit. 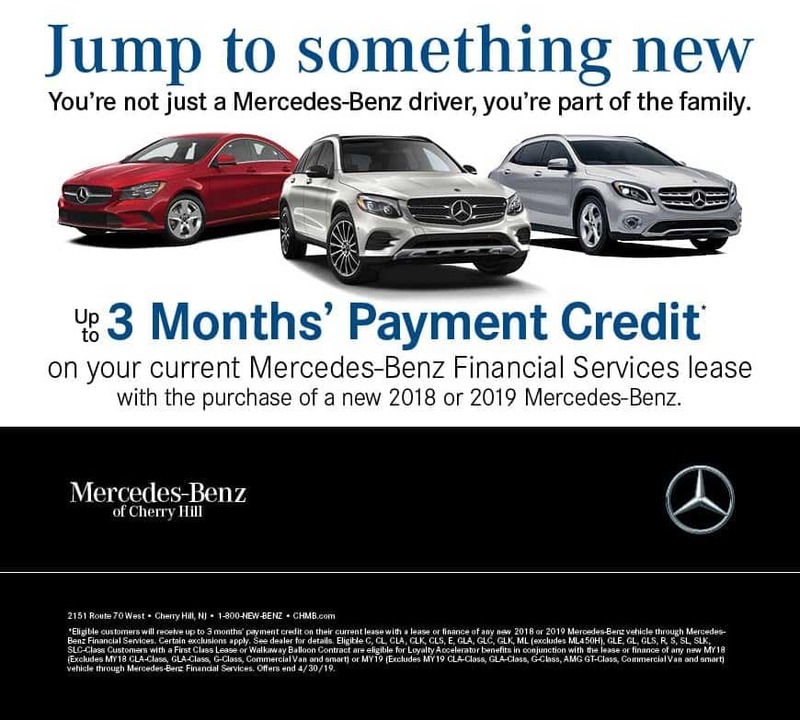 Here at Mercedes-Benz of Cherry Hill it shouldn’t take you too much time to find an affordable price with our specially priced Mercedes-Benz lease specials. While its possible that you may be able to get a quote from another dealership, we do our best to ensure a low price guarantee on all of our specials and offers. While other dealers haggle price negotiation we strive to make your car buying experience as seamless as possible by offering our bottom line – EVERY TIME. The next thing to think about is the cost of running and taking care of your car. One thing that you dont have to worry about is the cost of repairing or servicing your vehicle because we also offer competitive pricing in our service department and our parts / accessories inventory! We strive to keep the lease offers and specials listed here up to date, these lease offers can change and may not be available. The best source of information on current specials would be to contact one of our Certified Salespersons. Click Here to obtain more information. When you purchase your Mercedes-Benz vehicle from us you can be confident in your decision that you received the best price on your car or suv and we are here to serve you for years to come!